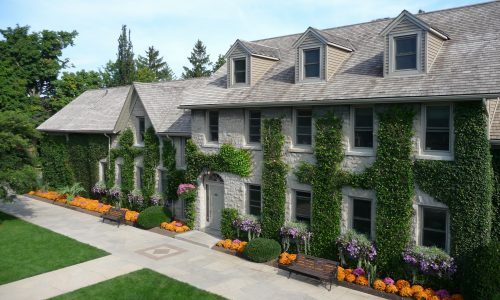 Established in 1936, the Niagara Parks Botanical Gardens presents visitors with 99 acres (40 hectares) of beautifully maintained gardens that include perennials, rhododendrons, azaleas, a formal parterre garden, herb and vegetable plantings, and our world-famous rose garden featuring over 2,400 roses. This section of the parkland is also the home to the Niagara Parks School of Horticulture, an institution that provides unique practical training to horticulture students on the grounds of the Botanical Gardens. The beautiful grounds of the Botanical Gardens serves as the unique outdoor classroom for students attending the Niagara Parks School of Horticulture. 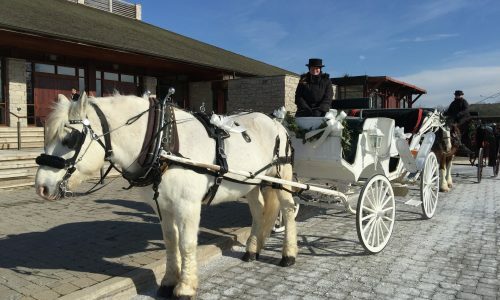 Guided horse and carriage tours of the gardens are available daily during the summer months. Tours run from May to mid October from 10 am - 5 pm, $20 per person + tax. Tours are operated by Sentineal Carriages. Special wedding services are also available.